Are you a cloud security professional looking for the best Cloud Security Certification? Here we cover the Top 5 Cloud Security Certifications that may help you boost your career! Migrating to the cloud is a recent trend in almost every organization as it provides enough data space without dependency on hardware along with scalability, efficiency, and speed. However, as the cloud is an open solution, it has its own security threats. Hence, establishing a cloud security environment that will provide the solution for multi-layered protections, encryption, IAM (identity access management) and most importantly 24/7 monitoring is essential. Thus, recruiting IT professionals with the best cloud security certifications now comes under organization strategy which not only accredits the quality control of the company but also ensures its employee efficiency. Coupled with proper years of cloud experiences and best cloud security certifications, these professionals act as a weapon against possible data breach for an organization’s cloud environment. As per the Gartner estimation, the growth rate of companies become 20% faster than others if they use the cloud. Hence, it is more likely that cloud adoption is expected to increase more in the near future. As per the market research, in an organization among all the applications average 36 applications are cloud applications among which 9% are collaboration services, 16% are sharing services, and 13% are used as content sharing services. Now 18.1% of all uploaded contents that belong to cloud platform contain organization specific sensitive information. Hence, protecting such confidential information is a major challenge for any organization. So, it is evident that securing the cloud environment is a need. For an organization it allows its users to store sensitive information in the cloud, but the information they are storing is beyond your knowledge. Making a cloud strategy is very important to find the loopholes of security features of the cloud infrastructure. Furthermore, best cloud security certification whether it is vendor-specific, generic or vendor-neutral, pitch in the areas of cloud security along with their implementation processes. Hence, companies with the top cloud security certifications help as an asset for enterprises to determine the cloud strategy. There are many cloud security certifications available in the market which an IT professional can go with, and these come as either vendor-specific, vendor-neutral or general category. However, we should value the most rewarding ones. Hence, in this blog, we have shortlisted the top cloud security certifications. However, we have highlighted only vendor-neutral cloud security certifications as these are the most effective ones across the cloud platforms. Description: The Certificate of Cloud Security Knowledge or CCSK is the first certificate launched by Cloud Security Alliance on 2010 which is widely accepted and practiced by IT professionals. It’s a rare IT certification and enlisted among Top Cloud Computing Certifications. This certification covers cloud security areas as per CSA Security Guidance and ENISA Report. The certification aims to validate the examinees’ technical knowledge in cloud security area along with the capability to develop a holistic program related to cloud security. Preparation courses from Cloud Security Alliance. There are two courses, one is “foundation” course for fundamental knowledge sharing and “plus” course for hands-on applications. Description: Certified Cloud Security Professional is one of the popular cloud security certifications from (ISC)2 providing a de facto standard of IT security certification. CCSP is a global certification and represents the highest standard for cloud security expertise. The certification is created by the combined effort of (ISC)² and the Cloud Security Alliance. The certification ensures that the professional has a deep understanding and hands-on experience with cloud security design, architecture, operations, and service orchestration. 5 years of full-time working experience in IT among which three years working experience in information security along with one year in architectural concepts and design requirements for the cloud platform, cloud data and application security, infrastructure security, operations, compliance and legal. 5 years of full-time experience in information technology among which three years working experience in information security and Cloud Security Alliance’s Certification of Cloud Security Knowledge. Must have earned the (ISC)2 CISSP accreditation. Description: The CCSS is a 3-days classroom training program with project work component. It focuses on knowledge and skills related to cloud security risks along with risk assessment and its analysis. The participants of this certification also learn how to manage and mitigate the security issues in a cloud environment irrespective of the vendors. The certification leverages the knowledge of cloud security features from the perspective of cloud architectural principals and design along with the architectural and technological security related taxonomy details. Besides that, the training also includes governance and process details related to cloud security. The topics in the certification course cover security as a service, risk and security management, perimeter cloud security administration and infrastructure defense process. Also, it uses industrial case studies to highlight key cloud security issues with their appropriate handling procedures. Participants must fulfill any of the below-mentioned criteria to take up CCSS certification. 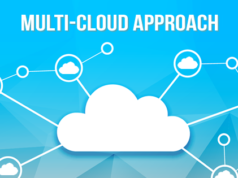 Define and implement best cloud security practices and principles to cloud infrastructures. Technically there are no pre-requisites, but the applicant must be a full time IT professional. Five years of experience in enterprise security. Thorough knowledge of cloud computing services along with deployment models. No doubt, in this world where cloud adoption is increasing at a high rate, cloud security becomes equally important. More on, a cloud security certification can help professionals in several ways, let’s have a look. Most in-demand cloud security certifications make one cloud professional distinguishable from the crowd as they already have proven knowledge and skills against industry benchmarks. The certification acts as proof to your employer that you have the required cloud knowledge, skills, and expertise. A vendor-neutral certification gives you more elaborate and specific knowledge on the security aspects of that platform. Cloud security certifications for cloud professionals help in their career advancement with an eye-popping salary. 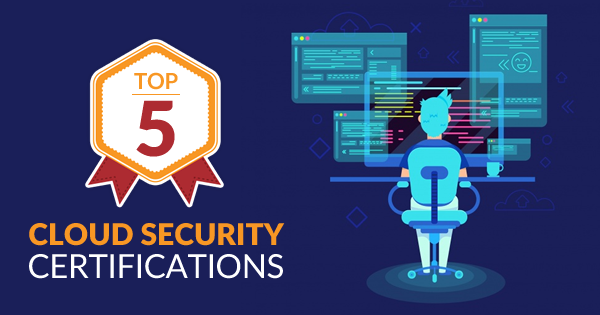 To conclude, apart from the above-mentioned most demanded cloud security certifications there are many more cloud security certifications as well. Many Cloud providers offer product training, whereas some organizations build the custom program at the request of the customer. However, in the end, the flagship is the best cloud security certifications which give the professionals unquestionable market credibility. 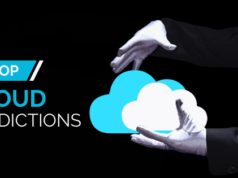 Whizlabs is a pioneering cloud training provider industry for all reputed cloud platform certifications including the most popular cloud security certifications like Certificate of Cloud Security Knowledge (CCSK) and AWS Certified Security Specialty certification. Hence, if you are planning to sit for these exams, experience our practice test series on these certifications!